I've been podcasting since 2005, and I've seen a lot of things come and go. 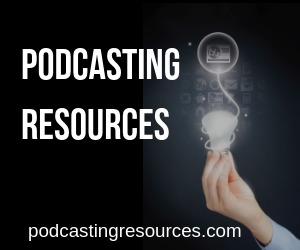 I can help you plan, launch, grow and monetize your podcast. I offer my services in a variety of shapes and sizes. Help you communicate in a way that helps you grab and keep the audience’s attention. Help you choose a name that will catch the eye of the audience, and also help you be found by search engines. Provide resources for music, logos, editing, and hosting. Go over the strategies used for monetization and determine which one is best suited for your show. Weekly recorded sessions (so you don’t have to take notes) and shared to you after the meeting. Each call will have a clear agenda with action steps. A typical call is 30 minutes You can email me in between our time together and I will reply within 24-48 hours. In some cases, I may answer in video format to illustrate a point To help you sharpen your vision and purpose, I have some worksheets to fill out when we first start out that help you identify the path to success. When your episodes are created I will listen to them and let you know what you’re doing correctly and what you may need to tweak. Need A Few Questions Answered? Schedule a one on one consulting call to get you going in the right direction.